Last weeks’ blog post concerned the EU requirements importing pets to Europe, and this week’s will concern the airlines and the logistics of actually flying with them. 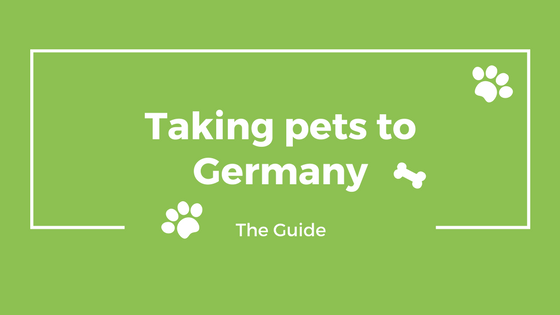 When I moved from the Middle East to Germany last summer I did all the work to import my dogs and my cat with me because I didn’t want to pay the large fees that the relocation specialist at the vet office charged. There are some things to keep in mind regarding the flights, separate from the regulations of the EU and I will cover the steps I took to prepare for the trip. First, I contacted both Lufthansa and KLM to inquire if they had availability on the date I wanted to fly with them and what the costs were going to be; it is imperative you contact the airlines as early as you can because the airlines have a set amount of animals allowed to fly in the cargo and in the cabin on a flight. I ended up choosing to fly with KLM because they were the only airline that flies out of the local airport of where I lived in the Middle East and because they have a very good track record with flying animals. I reserved the two dogs for cargo and my cat for the cabin; when reserving the spots for pets they require some information: microchip number, name and weight (with crate included), and the exact dimensions of the IATA approved crate/carrier that the pet will be in for the flight. Now be aware that this reservation isn’t confirmed for approx 48 hours; you receive a number to call, wait two days, then call and receive confirmation for all the animals. KLM provides a checklist on their website of their requirements plus a checklist that will be filed out at the airport prior to departure, as does Lufthansa. Second, I prepared the crates by setting them up and leaving them open in the living room so the pets could get used to them again before traveling. I also had to get my rescue cat comfortable with the carrier prior to traveling, so I left it in one of his favorite spots to sleep in and he quickly started taking naps in it! I cleaned the dog crates completely, affixed labels to the outside with their names and the feeding schedule; I also included information about the dogs themselves because we were flying through Frankfurt where they would get an hour and a half break in the pet center where they would be handled by strangers- I wanted to share some information because we need to set dogs up for success not failure (or so Cesar Milan always says). I wanted these strangers to know that one of my dogs was abused and treated horribly before I rescued him and is afraid of men so only women could handle him, while the other dog is food motivated and a social butterfly, friendly with everyone. I included a Ziploc baggie taped to the outside of the crate with the treats I wanted them to be given by the handlers. I also affixed bright orange stickers that read “LIVE ANIMAL” with arrows pointing up as this was a tip my wonderful vet gave me to just be as safe as possible. Third, the day of travel, I made sure that the dogs got a good walk early enough in the day where they could drink water after but not within two hours of flying. I made sure they didn’t eat within four hours of flying. I laid the travel dog beds in the crates, placed a worn t-shirt of mine that I didn’t wash in order to provide the dogs some comfort during travel; I froze water in their water bowls so that it would slowly melt during the flight and provide them something to drink. Then I loaded them all up, we headed to the airport, and proceeded to check in- the airlines require multiple copies of all the paperwork, so I had made certain to make 6 different copies of all required paperwork for all the different departments. One copy (of all the paperwork) gets sealed in a bag and affixed to each crate; one copy goes to the airline itself, one copy for customs and the extras I carried with me for just in case. Once they were checked in, they were taken away by the airlines and I had to hope for the best for all of us during the flight; the cat was with me in his carrier this entire time, not happy in any sense of the word. The flight to Frankfurt was uneventful; I did make certain that the dogs were loaded by asking the attendants prior to takeoff-they very kindly called and checked that both dogs had been safely stowed in cargo to help alleviate some of my anxiety. When we landed in Frankfurt I was given updates on my dogs when I asked after them at the KLM desk; customs didn’t check a single form of the required paperwork I was carrying for the cat, but I’ve heard that other people experienced intense scrutiny of all paperwork so it depends on the day and agent apparently. 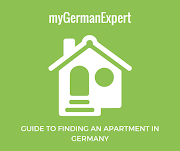 When we landed at the final destination, in Munich, I wasn’t too sure how things were going to work- I went to baggage claim and claimed my luggage, then I waited for the dogs to be brought to me. This is where things got a little difficult: I had not done this before and was alone with a cat in a carrier, three large suitcases and then two large dog crates on a huge wheeled wagon but the airline workers informed me I couldn’t use their wagon to remove the dogs from the airport, nor could they help me because it was against the rules for them to help with luggage outside the baggage claim area. I was stuck with no help and no ability to handle two luggage carriers and I was informed by customs I couldn’t leave one push-cart behind and return for it. Thankfully, someone saw my increasing distress and assisted me with getting both luggage push-carts out of customs to the waiting taxi lines. Needless to say, for all my planning and preparation, this last step caused the most problems, so if you are traveling alone with pets, be prepared for the logistical nightmare of arrivals in your final destination. I hope that this gives some insight into traveling with pets; as I said the airlines all have various rules and you need to check what those are as early in the process as possible. Also make certain to check the IATA website for a list of approved pet carriers and do this early enough to get your pets familiar with them if they haven’t been crate trained before. Also, never sedate your pet for travel no matter what- it is truly horrible to do and increases the odds that something bad will happen during the flight (I am speaking as a medical professional and a pet owner).